Always wanted to learn the euphonium? With the Elkhart 100EH student euphonium, you now can - without breaking the bank! Boasting a fantastic build quality and a brilliant finish, the Elkhart euphonium offers everything that a beginner needs. Elkhart are part of Vincent Bach Instruments - the company that makes the world famous Stradivarius trumpets. So you know this euphonium is built to last. 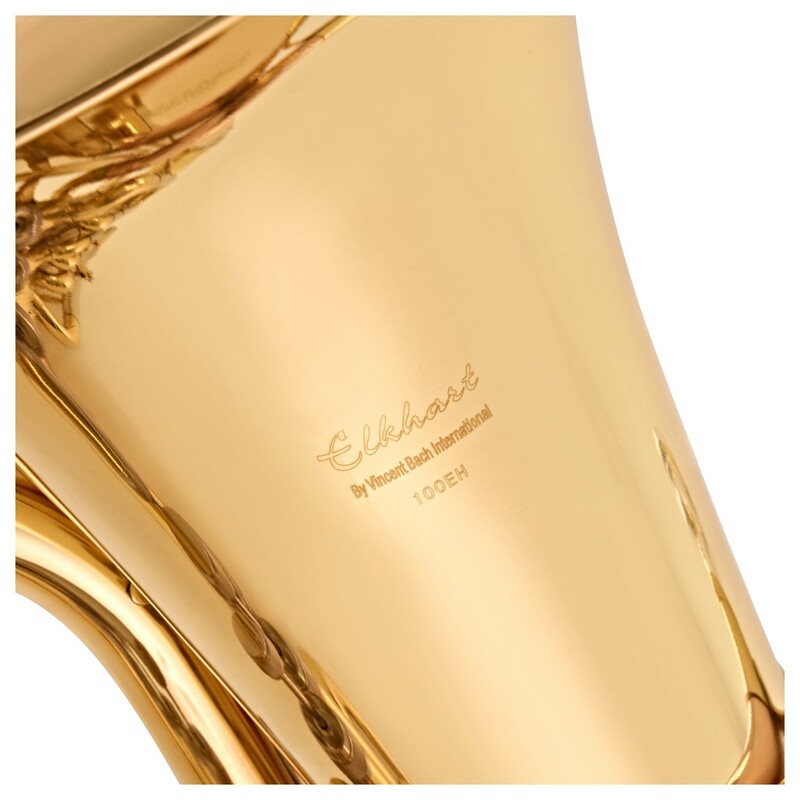 Unlike other euphoniums at this price, the Elkhart 100EH has a rose brass leadpipe to ensure your tone is always pleasant and smooth. 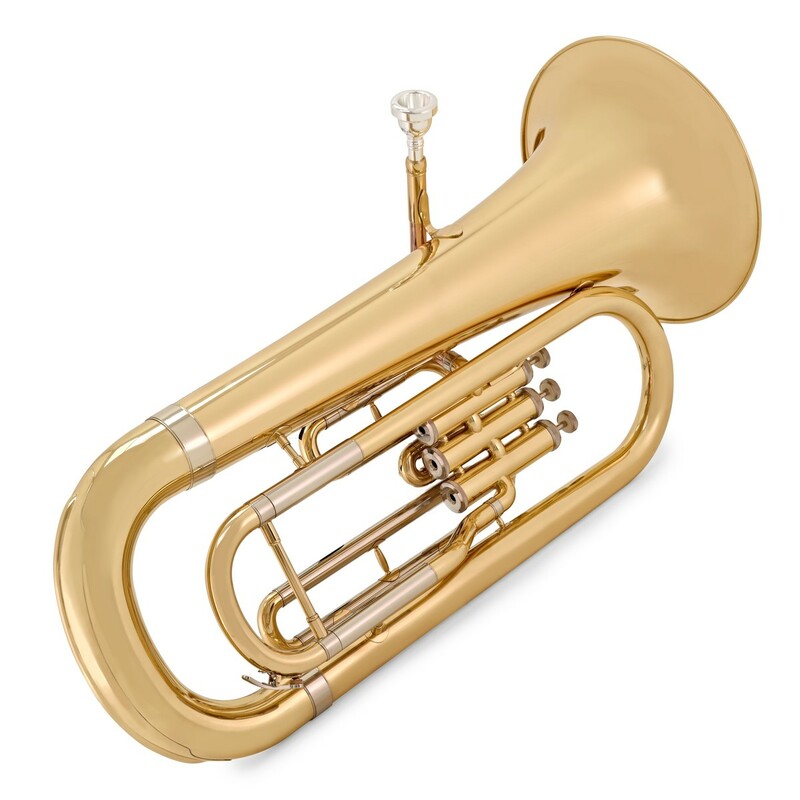 Thanks to the fantastic build quality and appealing price, the Elkhart 100EH euphonium is a fantastic instrument that is perfectly suited for both schools and brass bands alike. 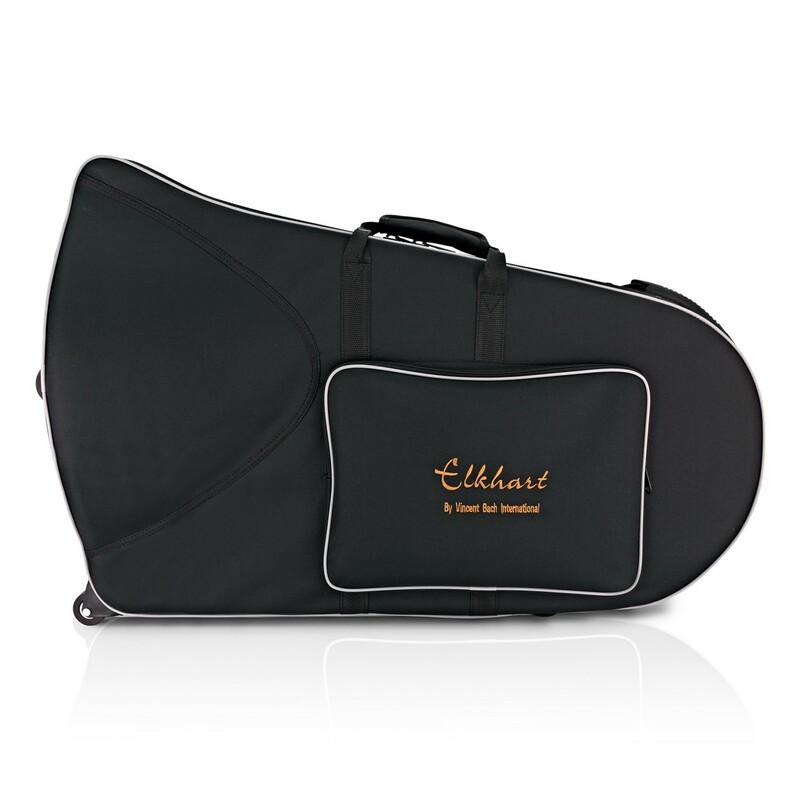 And to make sure you can get practising straight away, the Elkhart euphonium comes with a back-pack style case with wheels and a mouthpiece. 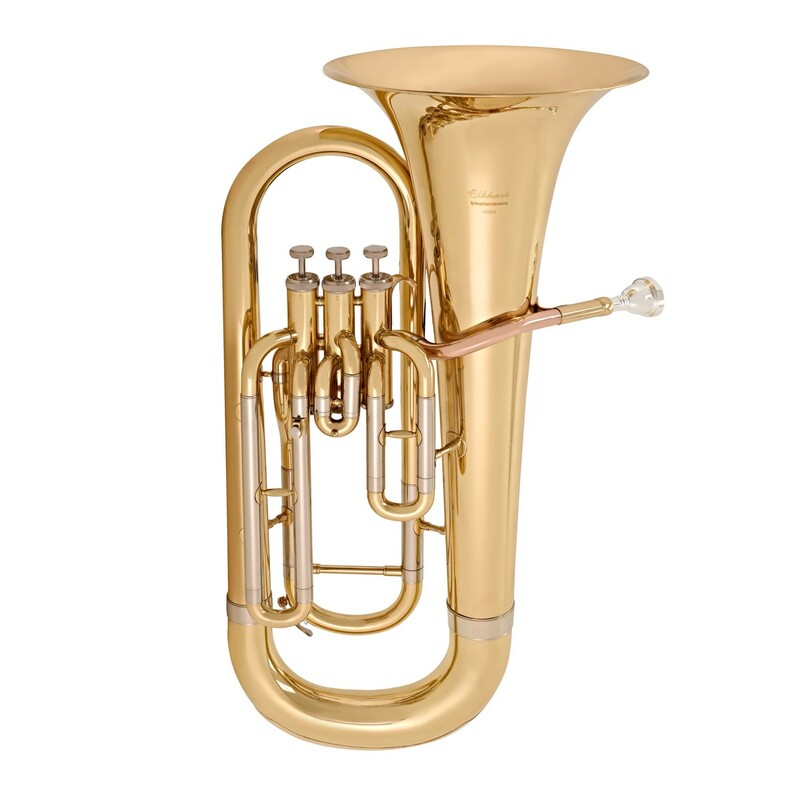 The Elkhart 100EH euphonium has been designed to suit entry-level players specifically. To ensure your tone is always balanced and smooth, the 100EH features a rose brass leadpipe. Often only found on more premium instruments, rose brass is the ideal material for ensuring your tone blends with those around you. To ensure that your valves are consistently fast moving, Elkhart has made the valves from quality stainless steel. Lighter than other valve materials, these stainless steel valves will easily keep up with your fast progression. Elkhart have even included a lyre hook for the all-important summer marching season. 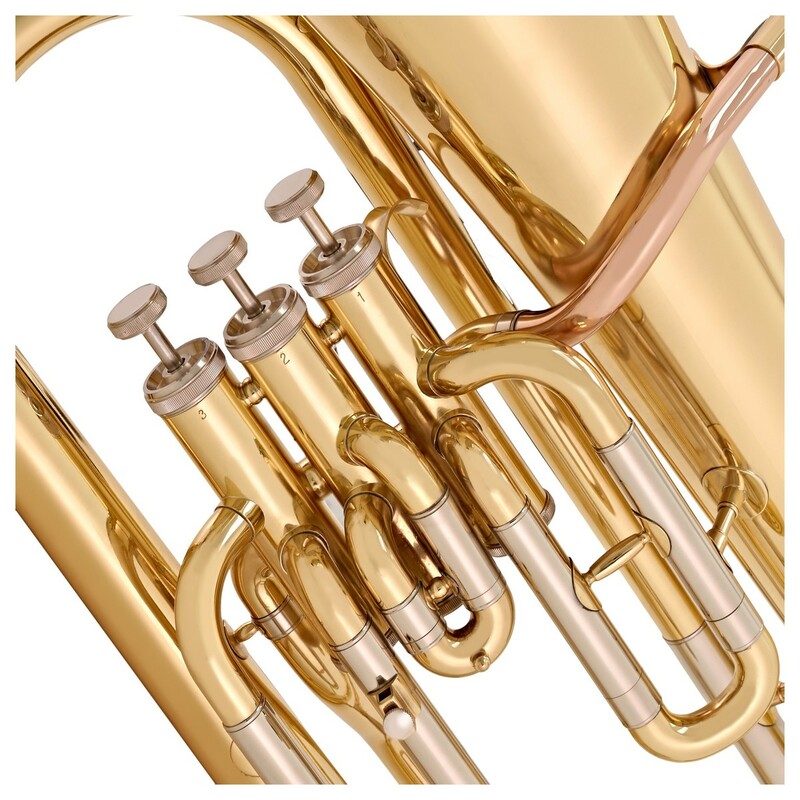 All of these features come together to produce a euphonium that is worthy of any beginner player. To ensure that you have the best possible experience, Elkhart have included everything you need to get started. 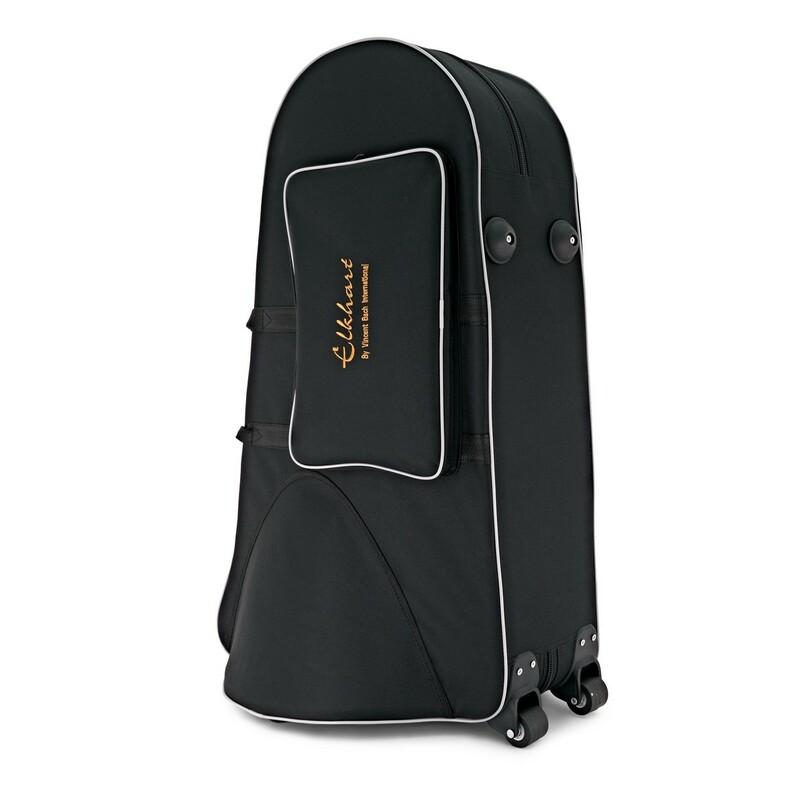 To keep the euphonium safe, the 100EH comes with a lightweight case that offers strong protection. On the outside of the case you will find two robust handles, two comfortable backpack straps, and even two wheels for effortless transportation. On the front of the case there is a large zipped pocket which is perfect for all of your sheet music. 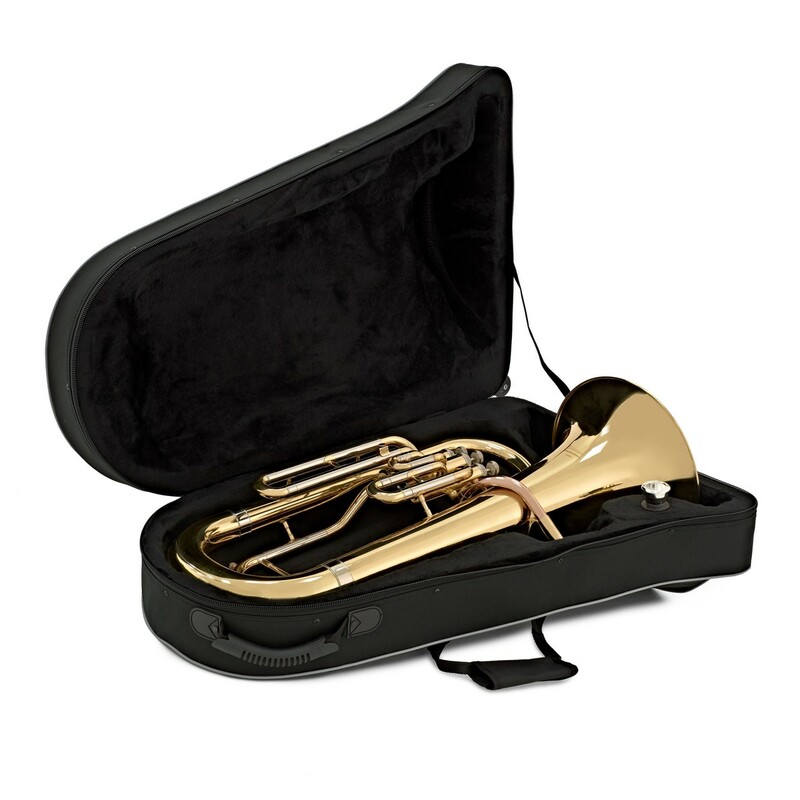 Moulded especially for the 100EH, the student euphonium fits perfectly inside the case. For an extra touch of protection, the inside is lined with a soft touch material that won't scratch your euphonium. 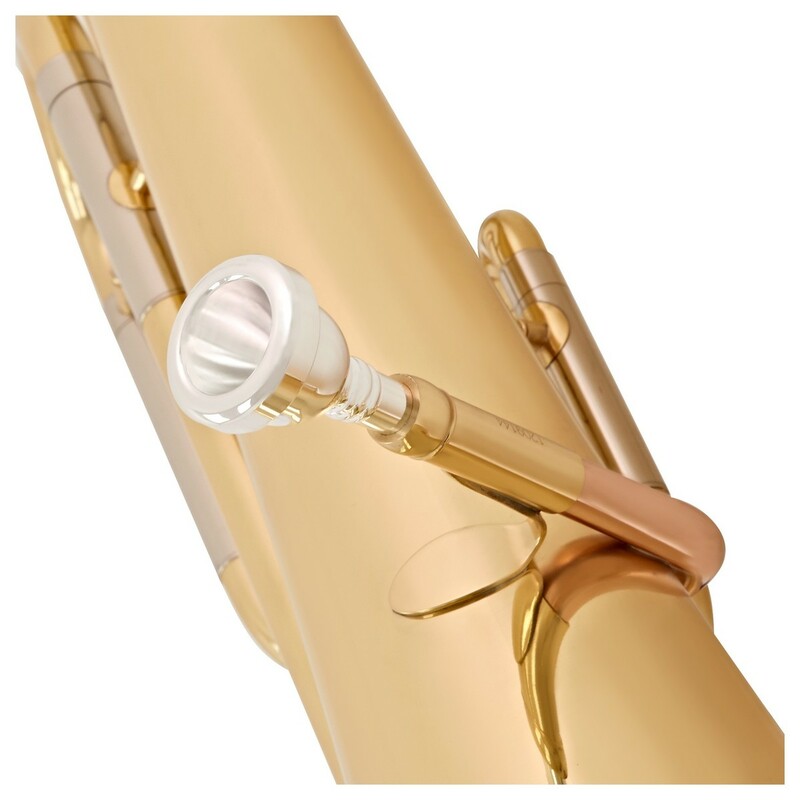 There is also a dedicated compartment for any accessories, and a mouthpiece holder.